Cloud adoption in health care industry speeding up | Faction Inc. Cloud computing in the health care industry is an ongoing debate. Because of the myriad potential benefits of the technology, adoption could be growing at a faster rate than it is. However, medical organizations may be accelerating their adoption as cloud computing security fears are assuaged and it becomes more prevalent. According to Fortune contributors John Hagel III and John Seely Brown, health care organizations have been slow to adopt cloud computing. The authors chalk it up to the privacy restrictions HIPAA legislation enacted on the industry, which created “isolated data platforms and electronic medical records” instead of a central storage system because of worries about data security. However, according to ZDNet, adoption seems to be accelerating, and many organizations are now looking to host more data in the cloud. “Health care providers’ growing infrastructure, system and support requirements – compounded by tight budgets and IT staffing issues – will continue to drive them toward a hybrid IT environment in which the cloud will play an increasing role,” said Gartner vice president Barry Runyon, according to the source. Runyon believes that a significant portion of the health care industry’s computing needs will be done within the cloud in the next five to 10 years. But where do the numbers stand currently? A HIMSS Analytics study from 2014 found that 83 percent of health care organizations are already using cloud-based applications in some capacity. However, in taking a deeper look at the actual kinds of services these organizations are using, HIMSS Analytics found that only 43.6 percent of respondents were using the cloud to host clinical applications and data. The field has a long way to go before all important patient data is stored in the cloud, but the rate at which organizations are choosing to use cloud services continues to increase. Medical imaging is one area where cloud computing works within the medical industry. The cloud presents many potential advantages for the health care industry. According to Healthcare Global’s Stephanie Ocano, the increasing pressure for health care organizations to make their way to the digital realm is pushing cloud adoption, and there are quite a few areas it will be useful as adoption becomes more prevalent, such as medical imaging. “By using a cloud solution for storing and sharing large data files involved in medical imaging saves hospitals, physicians and other organizations in health care costs while boosting speed and efficiency,” Ocano said. The 2014 HIMSS Analytics study named the main instigators of cloud adoption for health care organizations as lower maintenance costs, increased speed of deployment and lack of internal staffing resources. 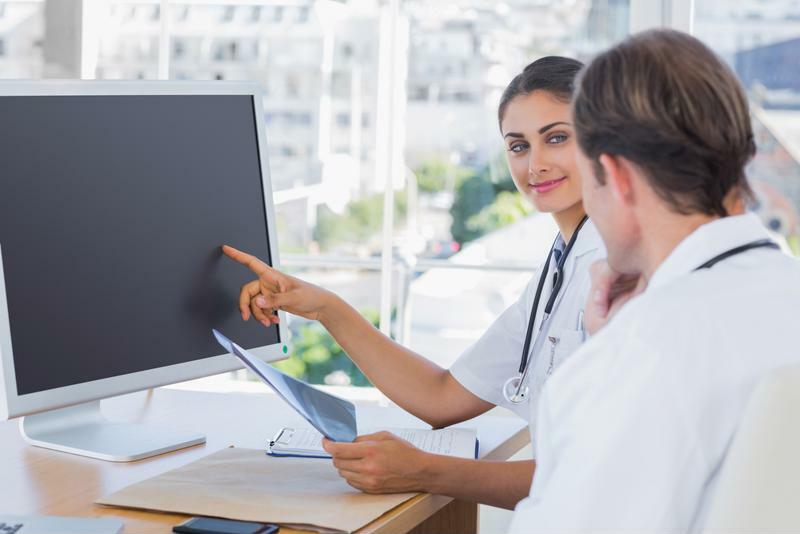 Electronic medical records integration is another one of the most important uses of the cloud – it makes the storage and retrieval of records easier and simpler. The health care industry remains a place where cloud computing solutions could expand. For those like Hagel and Brown who believe that adoption is lagging, they could see more use of the cloud in health care soon. Organizations should always consider their options when choosing how important medical data will be stored and accessed – and an IaaS platform could be the way to go in the future if it’s not already.